This suit is brilliant! From the moment I ordered it to the moment it arrived it took only two and a half weeks. The fit is absolutely perfect; it is certainly the best-fitting suit I now own and Indy was really helpful with regards to any questions I had about measurements. 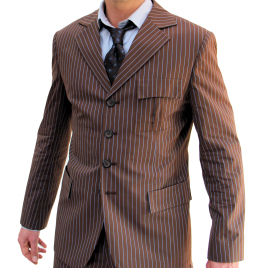 The look of the suit is fantastic and it has received many compliments when I have worn it. Highly recommended!